Made possible by The Cal Fund and the generous support of alumni, parents, and friends like you. The Berkeley Connect program opens up the extraordinary resources of the university to you: the extraordinary students on our campus. By joining, you will become part of a community of like-minded faculty, mentors, and students that will provide a supportive environment in which to exchange and discuss ideas and goals. Berkeley Connect will help you to make the most of your time at the university as you learn more about the major in English. We’re excited to get to know you! Berkeley Connect in English builds stronger connections between undergraduates, graduate students and professors. Small groups of undergraduate majors and undeclared students interested in the study of literature meet with faculty members and graduate student mentors throughout the semester. In these meetings we talk about intellectual, institutional, and practical issues. What is the English major? What kinds of reading do we do and why? What kinds of careers do people have with a Berkeley degree in English? In these discussions, free of the pressure of grades, we talk about our intellectual interests and about being part of an academic community. Graduate student mentors also hold one-on-one meetings with undergraduates to talk about challenges and goals. They lead explorations of campus resources like the Bancroft library and the art museum. Every semester, Berkeley alumni in different professions speak about how the English major has contributed to their careers. Professors talk about how they came to study English, how they produce writing, or how they disagree about particular texts. Berkeley Connect provides relaxed and fun opportunities to get to know your community and to think together about how to make the most of your Berkeley experience. and visits to Berkeley resources. At the heart of Berkeley Connect is the relationship between you and your mentor. The Berkeley Connect mentors are advanced graduate students or recent PhDs in English, who are chosen both for their demonstrated commitment to undergraduates and for their scholarly achievement. They are dedicated to providing the kind of close-knit community and one-on-one attention that can be hard to find at a large university. When you sign up for Berkeley Connect, you will join one of several small groups of participants in English. Your small group will be led by your mentor, and will meet every other week during the semester for an hour-long dinner discussion sessions. Discussions will focus on key intellectual issues within English as well as key skills you need to succeed in the major. Above all, the small groups will focus on building connections among students, so that each group becomes a supportive community for all participants. You will also meet with your mentor one-on-one at least twice during the semester, once to get acquainted, and a second time just before Tele-Bears, to discuss your plans for completing your major. Your mentor also has office hours every other week, during which you are free to show up and ask questions, talk over your day or your week, discuss what you are learning in class, or just have an informal conversation. 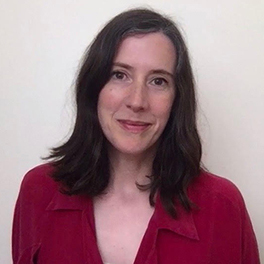 Catherine Flynn (Director) is an Associate Professor in the English department, specializing in British and Irish modernist literature and critical theory. She has taught at Berkeley since 2012. Her book, James Joyce and the Matter of Paris, is forthcoming with Cambridge University Press (2019). She is currently at work on an edition of Flann O’Brien’s multilingual Irish Times column, Cruiskeen Lawn. She is delighted to take part in Berkeley Connect. 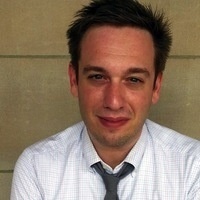 Josh Gang is an assistant professor in the English department. He works on British and Irish literature since 1900, with a particular focus on literature’s relations to psychology, philosophy of mind, and cognitive science. 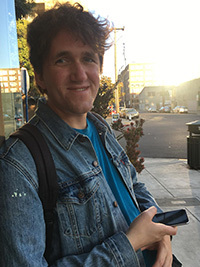 He is currently completing his book manuscript “Word and Mind: Behaviorism and Literary Modernity.” He’s very excited to be part of Berkeley Connect this year. Daniel Benjamin is a seventh-year PhD candidate in English, with a designated emphasis in Critical Theory. His research and teaching focuses on contemporary poetry and theories of race and sexuality; his dissertation explores how writers like Dorothy Wordsworth, Amiri Baraka, Jack Spicer, and M. NourbeSe Philip make space for multiplicity in their writing. Born and raised in New York, NY, Daniel completed his B.A. in Philosophy at University of Chicago, and later received an MPhil in English from the University of Cambridge. Since moving to Berkeley, he has enjoyed participating in the Bay Area’s avid poetry scene (his poetry has recently appeared in The Tiny, Berkeley Poetry Review, and OVERSOUND); he received an MA with emphasis in Creative Writing from UC Berkeley last year. Daniel co-organized “Communal Presence: New Narrative Writing Today,” the first major conference dedicated to the queer writing movement that originated in San Francisco in the 1970s. Outside of books, Daniel enjoys watching basketball, trying new restaurants, and imitating favorite recipes in his own kitchen. Tim Heimlich is a PhD Candidate in English. He grew up in southeast Wisconsin and graduated with a BA in English from the University of Wisconsin-Madison. After college, he spent several months volunteering as an English teacher at an orphanage in rural Tamil Nadu, India before returning stateside and moving to Berkeley. 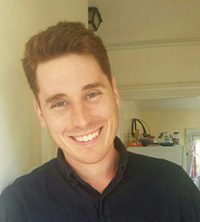 His dissertation examines British Romantic literature and Celtic national identities in the context of the broader British Empire. Outside of work, he enjoys cooking, hiking, camping, watching and playing a variety of sports, and traveling. He is thrilled to be a part of Berkeley Connect. 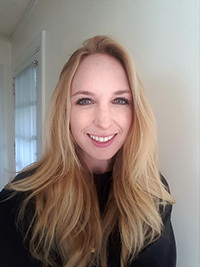 Jasmin Miller received her PhD in English and Medieval Studies in 2018 and has been appointed a 2018-19 Berkeley Lecturer in the Department of English. She grew up in Southern California, but now calls Northern California her home, having lived in the Bay since receiving her BA in English and Molecular & Cell Biology from UC Berkeley in 2009. Her dissertation examines how late medieval religious habitus affects vernacular religious writing in England. Apart from working, Jasmin enjoys watching cooking shows, sleeping in (when she can), and taking her son, James, to the park. Allison Neal is a seventh-year PhD Candidate in English. Born and raised on the Central Coast of California, she received her BA in English at UC Berkeley in 2011 and started her PhD work at Berkeley a year later. 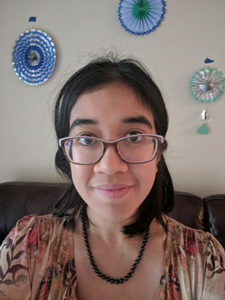 As a graduate student, her work and teaching has focused on twentieth-century British and American literature, with a particular interest in American poetry. Her dissertation examines how various sound technologies helped twentieth-century American poets to construct, circulate, and imagine the audience for their own poetic voices. As a former Berkeley undergraduate (and student in the English department for the past 11 years! ), Allison is excited to help foster a community similar to the one she experienced at Berkeley. In her free time, she enjoys hiking, eating (not cooking) Italian food, taking yoga and ballet classes, and traveling both in and out of California. Here is the schedule for the semester: it’s a mixture of small group meetings with your mentor, one-on-one sessions with your mentor, trips to see Berkeley resources, and special program-wide events. Every semester, students in Berkeley Connect are required to fill out an anonymous exit survey on bCourses. If you do not fill out the survey, you will not get credit for Berkeley Connect. One exit survey is used for all Berkeley Connect programs, in order to collect comparative assessment data. BC will be able to tell which students have completed the survey, but will not be able to see their answers linked to their names. Faculty directors find this data very helpful in making program improvements and planning future semesters. To find sections in the upcoming semester, search the Schedule of Classes for English 98BC (for first-year and sophomores) or 198BC (for juniors and seniors). To help you meet other students who share your experiences and perspectives, Berkeley Connect sections are designated as lower division (first-year students and sophomores), new junior transfers, and upper division (juniors and seniors), but you can enroll in any section that fits your schedule and credit requirements. **Read the schedule notes carefully—different sections are designated as primarily for lower-division (freshmen and sophomores), upper-division (juniors and seniors), or junior transfer students. If you are interested in participating in Berkeley Connect, but course registration is not currently open, you can join the Berkeley Connect Mailing List, and you will be sent more details when the next semester’s information becomes available. Please see our FAQs. If you have additional questions about Berkeley Connect in English, please contact: Professor Catherine Flynn, Berkeley Connect Director, cflynn@berkeley.edu. You can also contact the central Berkeley Connect office at berkeleyconnect@berkeley.edu or (510)664-4182.